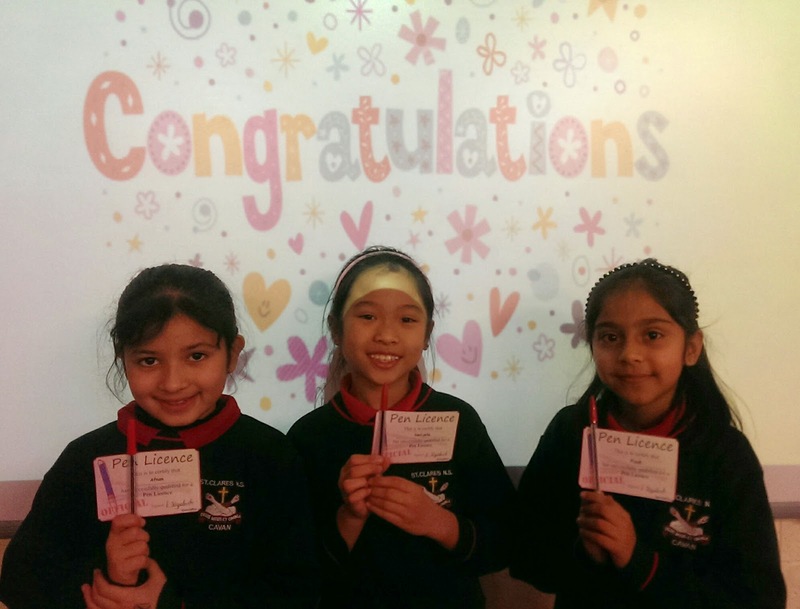 Congratulations to the three girls who got their pen licence today! We are very proud of you! Keep up the excellent handwriting!